See the amenities and details for the Ellmann House below. 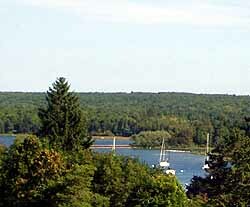 Contact Us today to reserve your vacation dates in beautiful Fish Creek, Door County. Entertainment center with cable TV, DVD and VHS player with surround sound. Contact Us today to reserve your vacation dates at the Ellmann House in beautiful Fish Creek, Door County.